My hubby and I have been married for more than a decade. We have two young children and very busy lives. 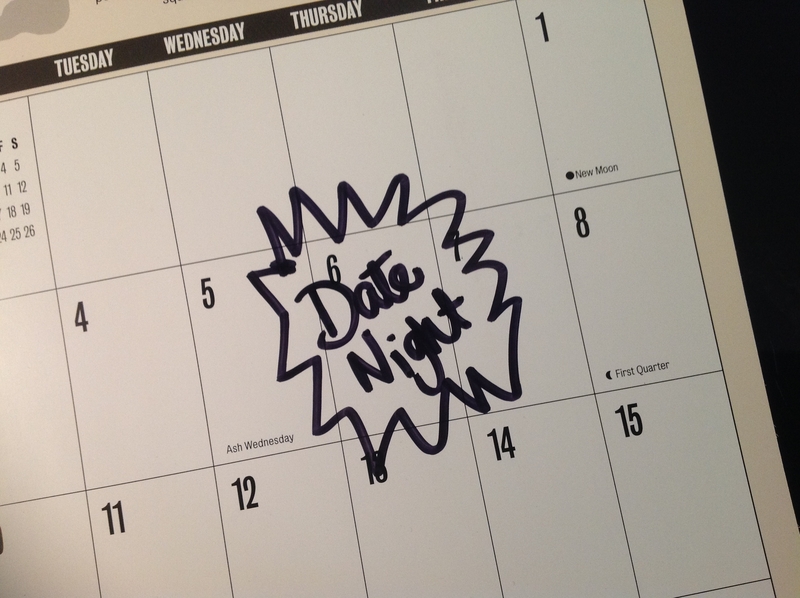 In all of the craziness of life, Jeremy has set a side 2 nights a month for date night. And I’ll admit, at first I was reluctant. We live away from family so Grams and Gramps can’t babysit. I like to be the person who puts my kids to bed! Over the years we have continued to date each other. It is a great thing to do and I highly encourage it! What better gift to give your kids than parents who spend time together! So, I know what your thinking. Babysitters are expensive and going out is costly. Well….here are a few ideas to help out. 1. Ask the Grandparents if they are available. (if you have that luxury) Or Auntie or any family that you know loves your kids. 2. Swap out with a friend. Maybe you can’t pull it off frequently, but swap out with another friend. Trade babysitting for babysitting. 3. Do date night at home. Put the kids to bed and have an at home date. 4. If you have a reliable sitter, set them up on a schedule. Say, every first Tuesday night of the month. Make it a regular thing! So now that the kids are taken care of, what do you do on date night? Sometimes, we are really boring and grab coffee and wander around a book store. Often we grab dessert at a favorite restaurant. We have gone for walks by the river or even done my weekly grocery shopping. It’s fun to grocery shop together. (Although it’s definitely a more expensive trip when he is in tow.) This week we grabbed chips and salsa at a local restaurant and just talked. When we do date night at home, we often rent a movie. However, my favorite at home date nights, we play a game like scrabble. There is nothing like a little competition to stir things up a bit!! There is nothing like a little time away from the chaos of life to enjoy the company of the person you married. I always look forward to it, and I never regret having spent time with my husband!